Macedonians will vote on 30 September on a deal reached with Athens in June that would change their country’s name to the Republic of North Macedonia. Greece’s northern neighbour currently calls itself the Republic of Macedonia but, because of the dispute with Greece, is provisionally recognised at the United Nations as the “Former Yugoslav Republic of Macedonia”. Athens had long objected to its use of the name Macedonia, arguing that it, along with contentious articles in the country’s constitution, could imply territorial claims over Greece’s own northern region named Macedonia. Greece insisted on the name change in return for lifting its opposition to Skopje joining NATO and the EU, a row which has bedevilled the two states’ relations for more than two decades. 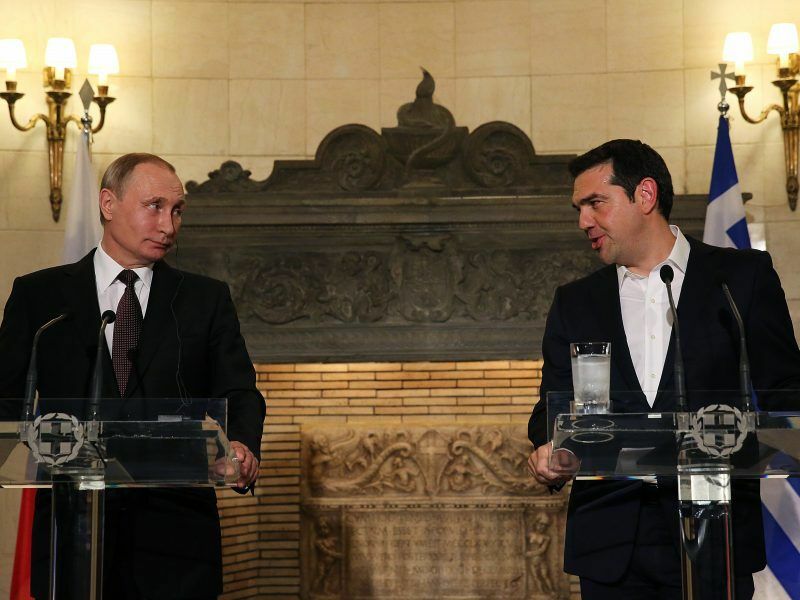 Both ministers on Thursday said the deal added to stability and security in the Balkans. 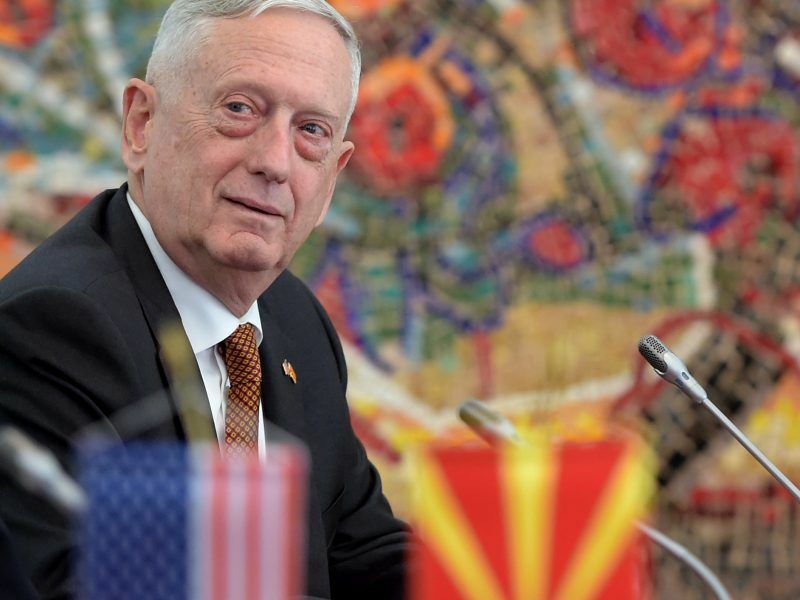 NATO has invited Macedonia to begin accession talks with the alliance, but says it must first change its constitution. Under the deal, the constitution must be amended to adopt the new name, and it must be used in all international organisations. 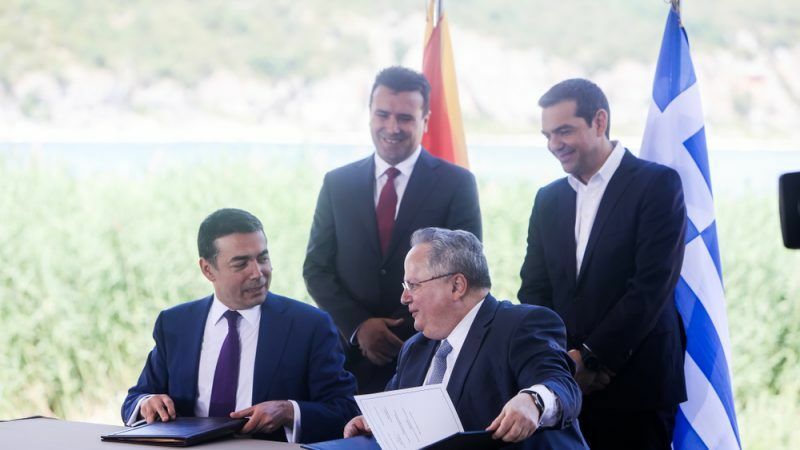 The two countries have also agreed that amendments will be made to the contitution to make clear Skopje’s use of the terms “Macedonia” and “Macedonian” does not refer to ancient Greek civilization, or the history and culture of Greece’s Macedonia region. 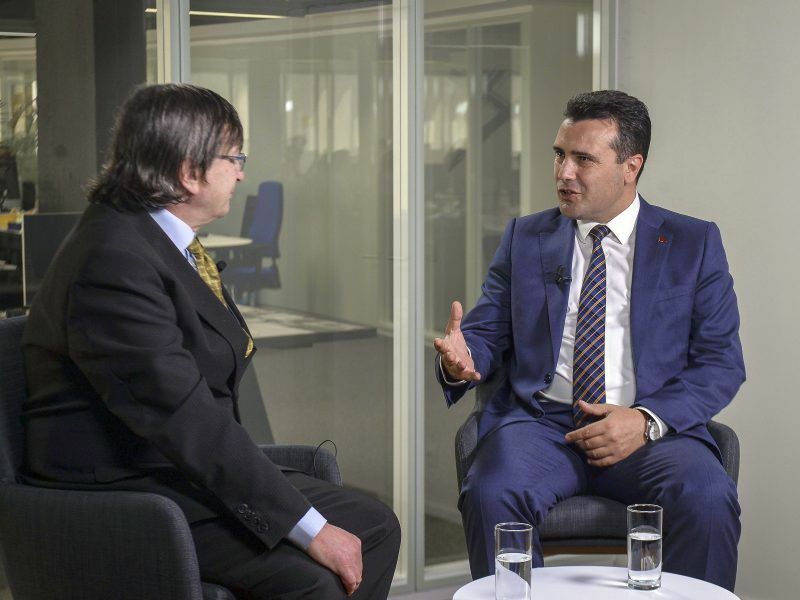 The EU has also said it will set a date for Macedonian accession talks pending implementation of the deal. Kotzias said the Greek parliament would vote on the deal and on Macedonia’s accession to NATO immediately after the constitutional changes are implemented, most likely in January. Greece’s left-led governing coalition is backed by 153 lawmakers in the 300-seat parliament and opposition parties, including the conservatives, have vowed to vote against the agreement with Skopje. The leader of the ruling coalition’s junior partner, the Independent Greeks party, has also said he will not back the government in a vote in parliament, fuelling fears of a snap election in a country which has only just emerged from its third international bailout. Kotzias brushed off criticism, saying he was certain that if Skopje delivered the required constitutional changes, the deal would pass in parliament, with the backing of centre-left and independent lawmakers.